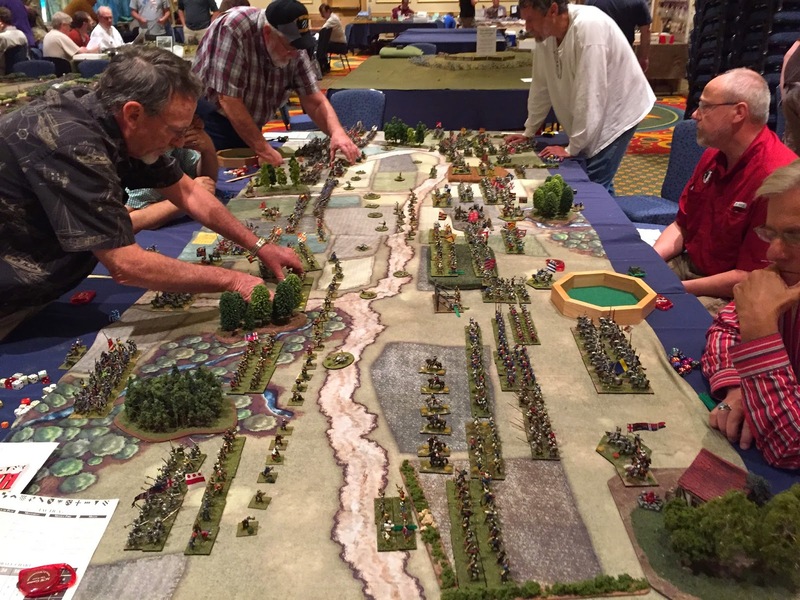 Cigar Box Heroes: The War of the Roses! The War of the Roses! This Saturday morning, me and and My friend Titch, ran a 28mm Tactica Medieval game at Nashcon, in Franklin, TN. We were able to lay out the basic terrain the night before, so all we had to worry about in the morning was getting the troops on the table! 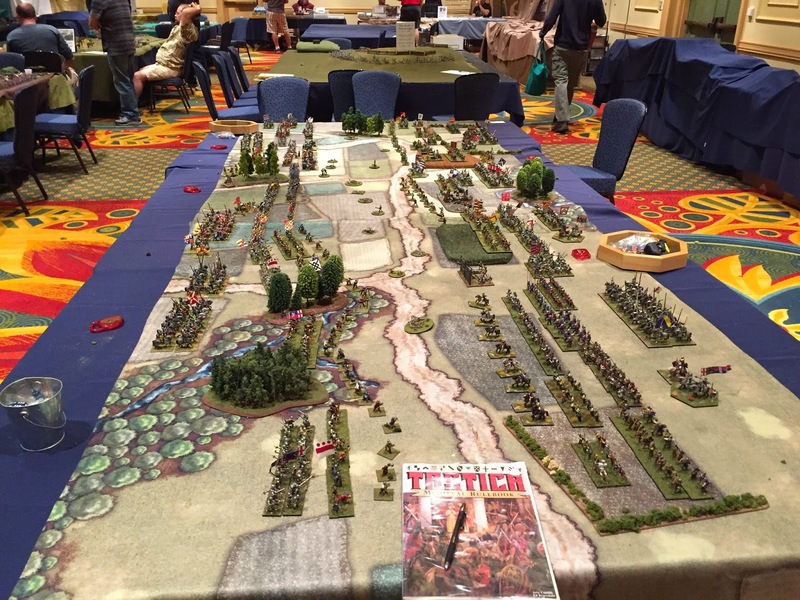 Tactica is my "go to" set of rules for my personal ancients and medieval gaming, but it also works great at conventions because of its simplicity and of course everyone loves to roll hand fulls of dice! We basically play the rules "as is", but we've made a few house rules to cover artillery, and made some of the movement / formation changes a little more flexible. A lot of people commented on the rules, and how they used to play and enjoy Tactica. One father walked by with his teenage son and said, "these rules are older than you"! A lot of people asked where they could buy a copy. The Lancastrians are moving their troops! 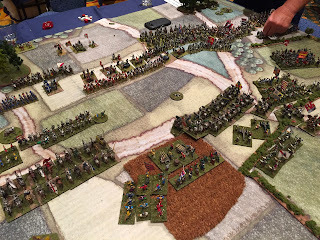 We had a great time fighting out another battle between the Yorkists and Lancastrians. 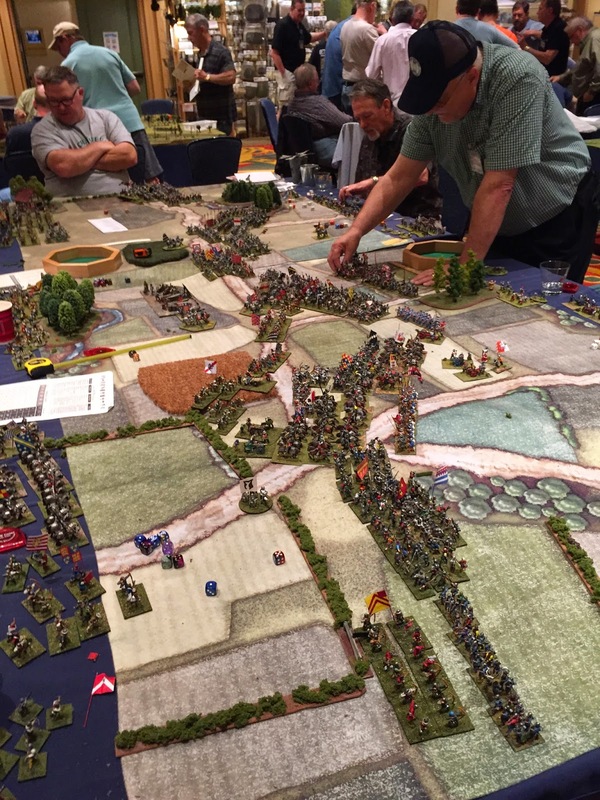 The Lancastrians pulled out a victory this year, but I'm certain the Yorkists will rally and raise another army for another battle next year! We run this game every year at Nashcon and have made it part of an ongoing campaign narrative.